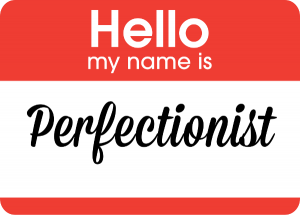 High achievers are driven to succeed and some can suffer in pursuit of perfection. Type A, drivers who expect success can have great difficulty when they are presented with anything that even remotely sounds like “failure”. Adults are creatures of habits and brain hard wiring from early childhood. We “react” particularly when strong negative emotions are stirred. These reactive responses are default modes of behavior. I consider myself a work in process. When I hear criticism or perceive I have failed in some way, I must be mindful of my intention to show up differently or I can easily get hijacked by my childhood “perfection” anxieties related to having a parent demanding a 4.0 GPA. It’s a lifetime journey trying to unhook the emotional baggage we drag behind us. Workplaces are minefields for emotional hooks. Any boss by the very nature of their role is an authority (parental) figure. Bosses judge direct reports when hiring, firing, bonusing, promoting and through reviews. Performance reviews can feel distressing—mirrors of report card days. Challenging 360s and feedback can feel punitive and painful. It’s not uncommon for me to hear clients threaten to quit (often good) jobs because they are smarting and ruminating from feedback they receive. I often suggest they reconsider. I remind them perfection is the enemy of good-and unattainable. Also feedback can be highly subjective, depending on the lens and skills of the person offering it. It is unwise to allow yourself to be defined by someone else’s perception or hijack your life by it. Better to try to understand the potential nugget embedded in the feedback to learn and grow from –or let it go if you are convinced it’s not accurate. Ask others for their candid perceptions to identify if this view is shared by others. And work hard at not showing up defensively if they concur. Similar feedback from multiple sources is likely something you would benefit from working on. Feedback can be a double edged sword. Its information not definition, however professionals should seek feedback to identify growing edges as team members and leaders. 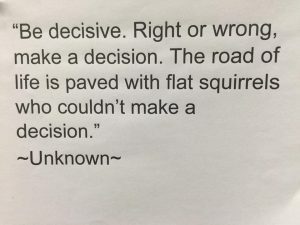 Once you get the information, you get to decide what you want to do with it. If you are confused by feedback or wanting help with those edges, call me at 425 736 5691, I can help.